Njambi started comedy in 2010 and since her debut at the Comedy cafe, she has been described as the hottest thing to come out of the Africa since the Sahara. Barely 14 months later, she was voted 1 of 5 top up and coming female comedians 2012 by Fabulous magazine. ½ hour profile on BBC World service. She was featured on the BBC International comedy showcase and also shortlisted for the BBC Radio New Comedy Awards x 2 a year later and has been showcased on BBC Radio 2 and BBC Radio 4Xtra. Featured on French TV(Business Africa/Initiative Africa out in Nov) and Bloomberg Africa TV (to air in Oct) Nigerian TV. She has been profiled in the Guardian / Daily Nation (Kenya). Been featured on Arise TV (featured in middle East and North America). Njambi is gaining notoriety in the literary world too. She is just finished for her book out soon. She performs regularly in the UK circuit. She is the resident MC at the Heavenly Comedy Shepherds Bush. Njambi is in now in huge demand in Africa see below press coverage. Njambi is fluent in 3 languages. 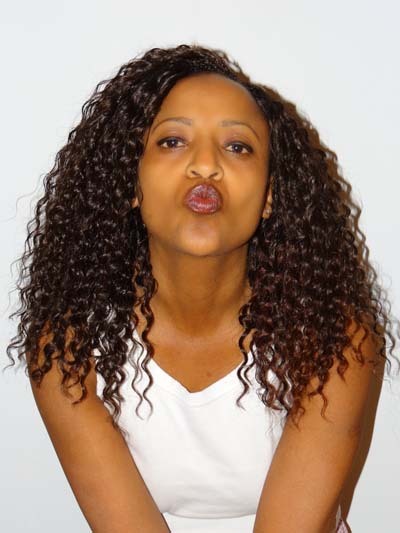 Njambi runs a comedy club in London and is the regular MC.